Lobi Stars finished their Matchday 25 business with a victory over Rivers United at the Aper Aku stadium, Makurdi. Nanem Imenger proved to be a super substitute by coming in for Tony Okpotu to give his side the much needed maximum point. After proceedings from other centres, Lobi now occupy the 5th spot on the log. Enyimba failed to get a point on the road as their former attacker, Abdulraman Bashir who is now with Nasarawa United scored the only goal to ensure that the People’s Elephant left the Lafia Township stadium empty handed. By virtue of the defeat, Enyimba slips down to 7th on the log. The Flying Antelopes have achieved quite a laudable feat, considering the peculiarity of the NPFL, by getting two successive draws on the road. They were able to share the spoils with Niger Tornadoes who had the opportunity to seal the game in the first half, but Wiliki was unable to convert the spot kick. Niger Tornadoes are placed on the 10th position while Rangers go up to 12th, their highest so far on the domestic scene. The encounter in Nnewi witnessed end-to-end action, but was not able to present any fruit in terms of goals. Ball dazzling Seka Pascal missed a couple of chances and also created some which failed to find its way to the back of the net. FC Ifeanyi Ubah are now on 38 points, standing 6th on the log. The visitors, Wikki Tourists have gradually quitted the drop zone are on the 15th position at the moment. Akwa United trumped Katsina United 2-0. The both goals came in the first part of the game and the visitors held on not to concede again and could not also reduce the deficit. Sunshine Stars return to winning ways after getting the better of Gombe United. Sikiru Alimi opened the score line for the homers as his side went on to win the game 2-1. 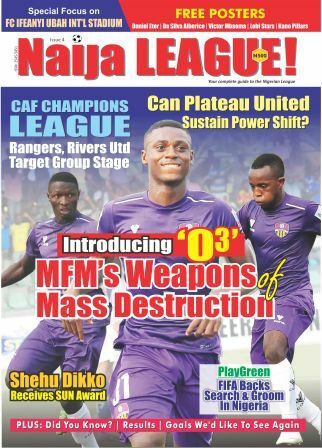 Kano Pillars were 3 goals better than their guests, MFM FC. The church Boys leveled scores in the minute courtesy of Stephen Odey after Kano Pillars poster boy Rabiu Ali gave Pillars the lead by converting a spot kick. Amos Gyan and Adamu Mohammed then took the game beyond Fidelis Ilechukwu’s men to leave the game at 3-1. Shooting Stars Sports Club and El-Kanemi Warriors also recorded victories against ABS and Remo Stars respectively. Remo Stars return to the basement of the table and have Gombe United, 3SC and Sunshine Stars ascending above them. The match lived up to its billing by providing 3 goals to separate both sides. Shedrack Asiebgu’s brace was enough for the home side to claim victory over their former gaffer, Kennedy Boboye. Later on, Hamza Owolabi equalized for Plateau United and the game lingered in stalemate until additional time. The account of the game on www.npfl.ng says “undaunted by the set-backs, Plateau equalized against the run of play after another Daniel Itodo throw-in. 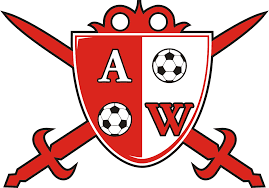 This time, a Warriors defender headed clear but the ball fell kindly for Owolabi whose volley from 16 yards ricocheted off Arinze Nwangwu and wrong footed Ocheje to bring the scores to 1-1 with ten minutes plus stoppage time left”. Abia Warriors attacker, Sherif Bashir in the box. The result was a spot kick and Asiegbue stepped up to tuck the ball at the back of the net to earn his side victory. Plateau United still maintain a five-point lead on the log and they are keenly followed by the likes of El-Kanemi Warriors, MFM, and Akwa United. Abia Warriors still occupy a place in the bottom half of the table.